Shenmue composer Ryuji Iuchi recently announced via Twitter that he has composed a new track in memory of a fan of Shenmue, the late Rodger Swan. 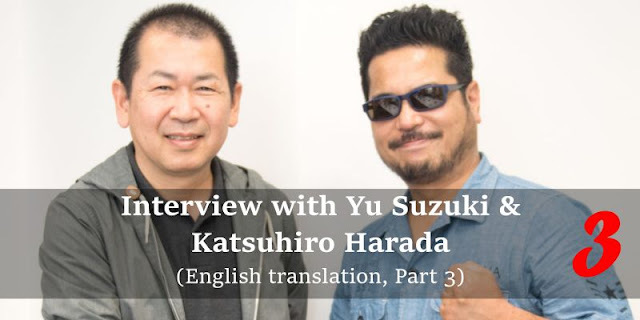 "When I was looking up this and that late at night, I learned that a fan of the game passed away from illness several years ago. I felt compelled to do something, and worked through to morning on a composition. I hope this melody may be to his liking. 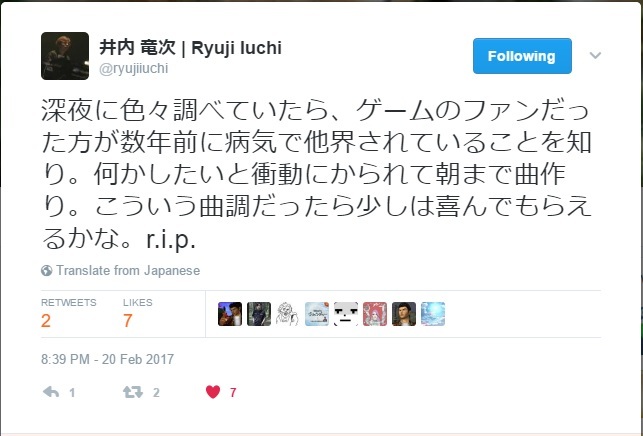 R.I.P." The new song, and others that he has created over the past year, are embedded later in this post. 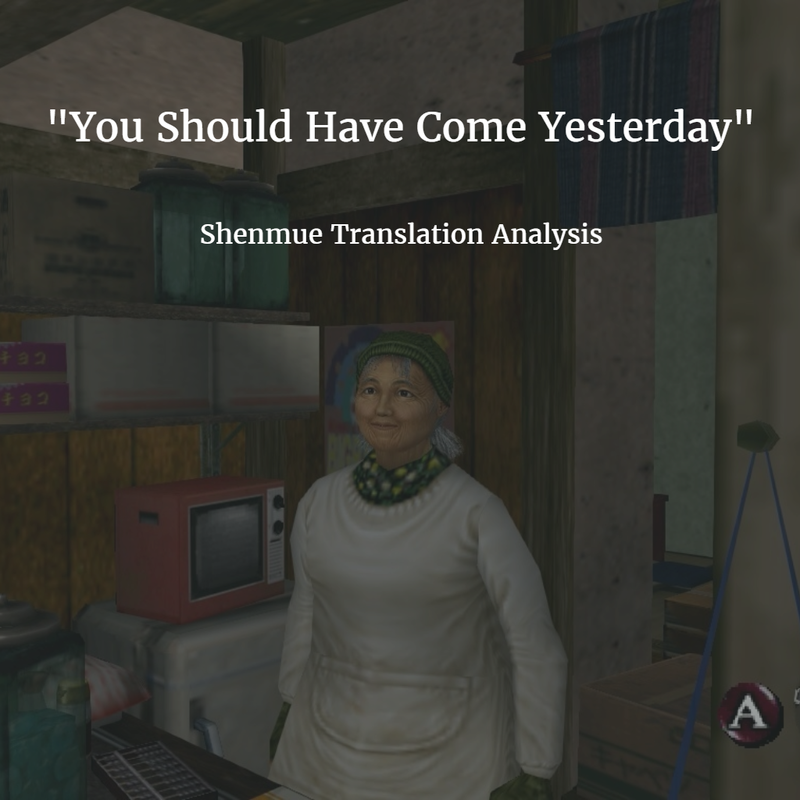 It's time to look at another phrase plucked from the English version of Shenmue and see what lies behind its translation. 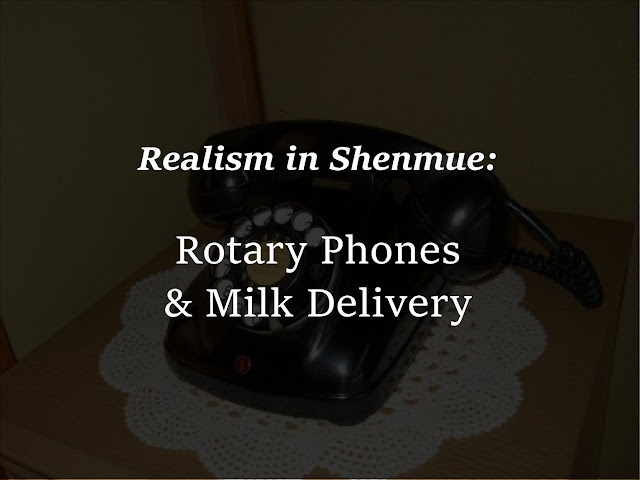 The location is at the Abe Store down the road from Ryo's house, which has been serving toys and snacks to the children in Sakuragaoka for years. 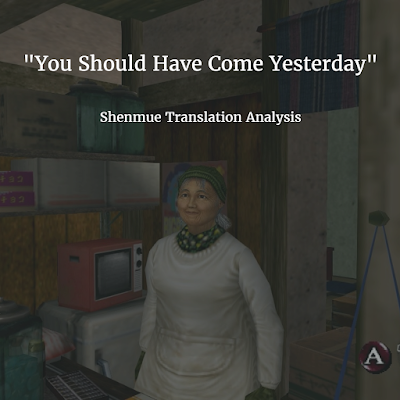 The friendly store owner, Setsu Abe, often teases Ryo with various nicknames (which we'll devote a post to in the future), which he doesn't really like but it's a handy place to try for some rare prizes with the Shenmue Raffle. 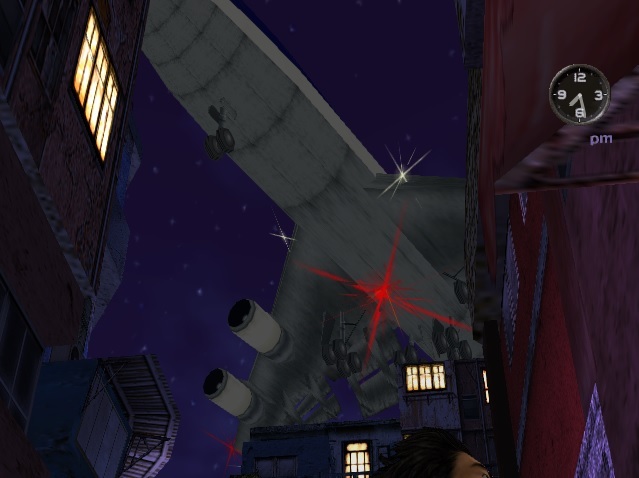 Those who have played Shenmue II will recall the brief cutscene that occurs as Ryo strolls through Wan Chai, where he looks up at the sky to see a passenger airplane pass above him. But were you aware of how to trigger the similar, but not-so-common, scene that has a formation of fighter jets flying overhead instead? If not, then read on. 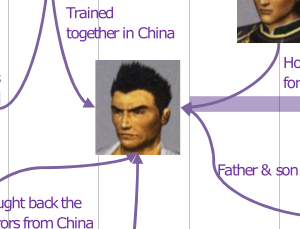 In this post we'll cover how to view both of these cutscenes in the game. Acknowledgement: Thank you to Kiyuu of the Shenmue Dojo for the tip from her old forum post which served as the basis for this recap. The view of the passenger jet is quite impressive due to the plane's proximity as it soars overhead with a roar, its landing gear extended, flaps down and landing lights twinkling. The scene has even more impact at night.